Wedding customization! | J.O. Spice Company Inc.
Congratulations to all those brides-to-be and those planning a wedding! Did you know J.O. is your 1-stop shop for wedding customization? 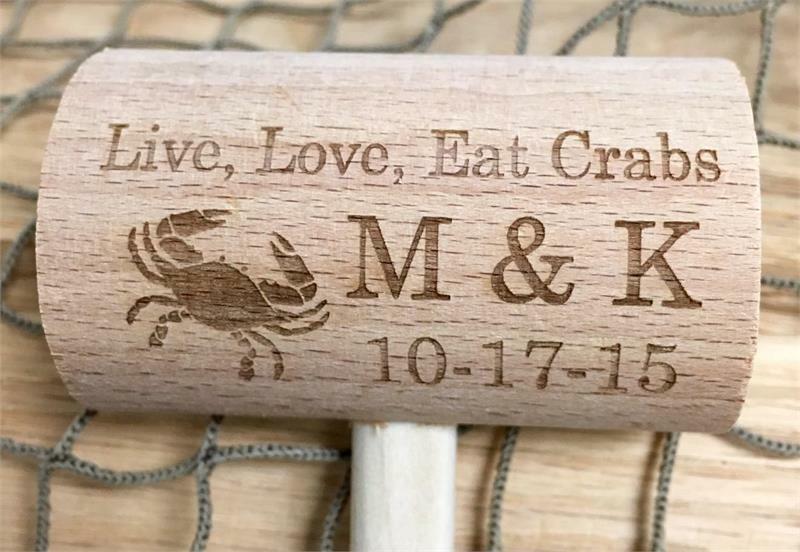 We can put your names, date and wedding theme on a mallet, spice packet, cutting board, picture frame or glass. Would you like your champagne glasses to be customized? We do that as well! 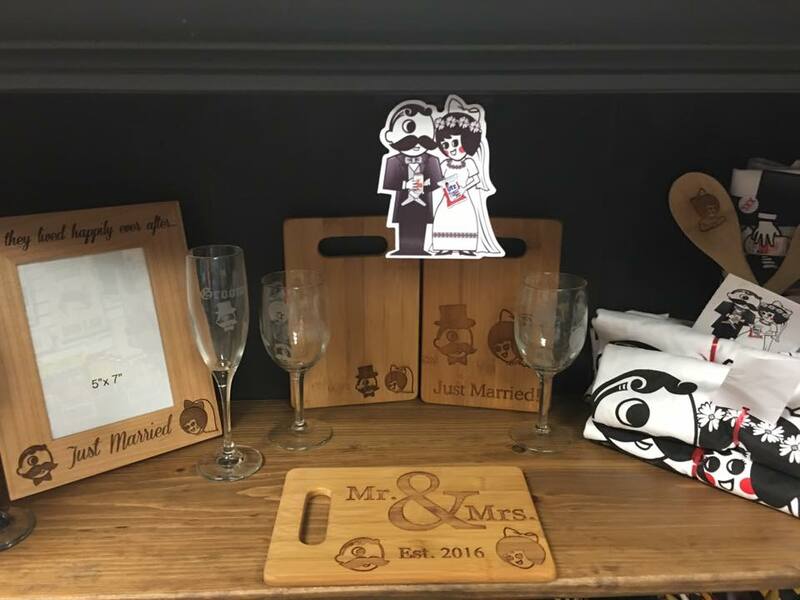 Also, we have a great gift line that just represents Bride, Groom and the bridal party, too. 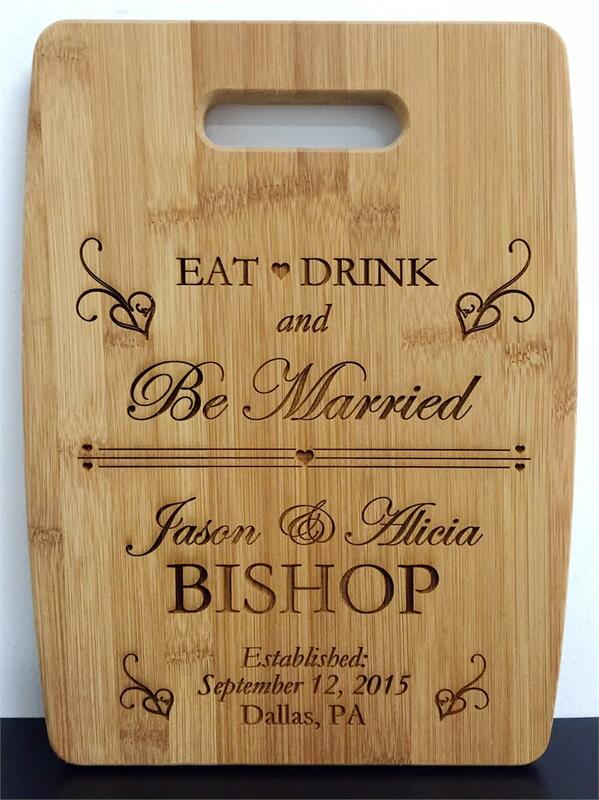 We can customize for your wedding, your friend’s, or for that perfect gift! It’s all right here in the store and online! 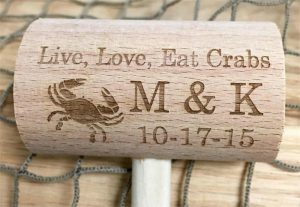 Do you love crabs, Maryland or all things sea life and that is your wedding theme? Great! So do we and we spread that love to our line of cutting boards, picture frames, glassware and more. 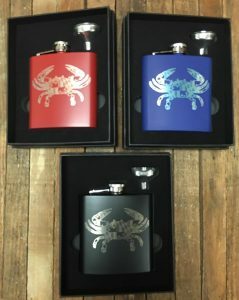 We can do it all in our manufacturing plant as we have creative graphic designers that can take your idea and expand on it, then we can go straight to the machines and make the ideas come to life! We don’t need to send anything out to get made- we process it all ourselves which cuts down on costs! We’ve been known to help out a bride-to-be in her last minute crisis and get her a 200-count mallet and spice packet in less than 24 hours (that’s including the design process and shipping to a local Maryland address)! Have an idea or most often, no idea, you just want a favor for your wedding!! Get your items shipped or pick up in our retail store in Baltimore, MD! Pretty simple, straightforward and easy! 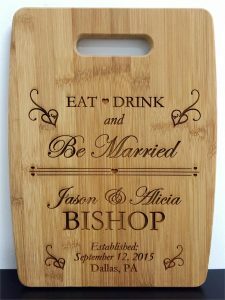 Browse the shop or online and see what we can do to make your wedding spectacular!